App stores are crowded places these days, and because storage space on your phone is often at a premium, you’ll want to fill it with not only the best, but also the most helpful apps out there. Because they come and go quicker than the latest fashion trends, and digging through Google Play, the iTunes App Store, or any of the others is such a mission; a little nudge in the right direction is often very welcome. Here are the apps we think you need to check out this week. There’s a trend in the app market to try to gamify the learning process. The most popular example is Duolingo, a language learning app that uses a leveling system and interactive challenges to teach people the basics of various languages. Gamification is a trend for a good reason: it works for a lot of people. Now the folks behind popular music apps like Piano Dust Buster are applying the same game-style principles to learning how to play piano. Simply Piano is what you would get if you took Guitar Hero and mashed it up with Rosetta Stone. Designed to teach anyone how to play with no prior experience, Simply Piano teaches the most important principles of the instrument and shows the player how to apply them once their hands are on the keyboard. The app automatically picks up on your playing when you set your iPhone near a keyboard. It then provides instant feedback and step-by-step instructions that will teach you classic tunes and pop favorites. Did you have a Tomagatchi when you were a kid? If you did, you know the trauma that occurred when you forgot to feed it and the digital pet perished. 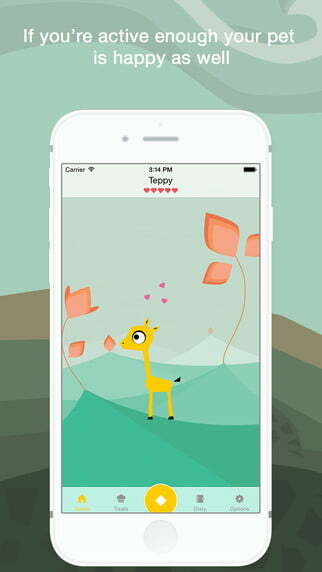 Tep brings back that same concept with a tiny giraffe character that counts on you to take care of it by taking care of yourself. When you work out and stay active, you also care for Tep and improve its life. When you slack off, Tep suffers. If you won’t stay active for your own good, at least do it for this poor, helpless giraffe. Every day counts. That’s the concept behind Level. 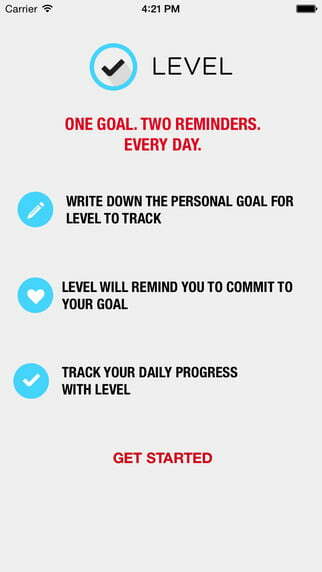 The simple app for achieving your goals makes you focus on a single thing every day. Tell it what you want to accomplish, and it will send you just two reminders every day for that one task. It will ask you if you accomplished your goal, and you can keep track of your progress over time. Sometimes when you strip away the extra complications, it becomes much easier to actually get things done. How often do you hear that everyone should learn to code? It’s the key to our future developments, from the Web to the new machines and technology that have to be programmed, and knowing how to speak the language will make it easier to navigate in the new economy. 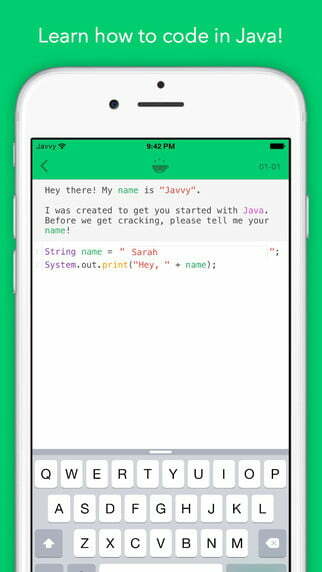 Javvy teaches you how to code in Java while on the go. The app packs lessons into bitesize little packages to play during your commute or in your down time, so you can learn at your own pace and pick up the skills you need. Apple lagged behind Android in allowing users to install custom keyboards, but the floodgates opened, and we’re still seeing new ones pop up every day. 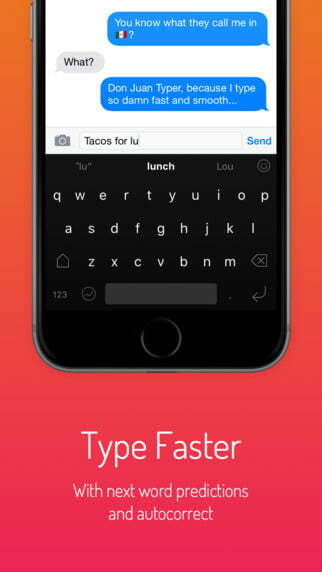 A recent favorite is Next Keyboard, a full-featured option that is up on the new way people communicate: emojis and stickers. There are over 1,400 emojis packed into Next Keyboard, all just a few taps away from being included in an iMessage and sent to a friend.